Location: Donald, Oregon, POP. 750. APPROX. 25 miles south of Portland, Or off I-5 by Champoeg State Park. From Portland, take I-5 south to exit 278 towards DONALD/AURORA NAT'L HISTORIC DIST., make right onto Ehlen Road NE, Left on Butteville Road, Left on Main Street, on left corner of Matthieu Street NE and Main across the train tracks. Description: Dreamland Creation. 4 up to 9 ft. kidney pool. 4ft. 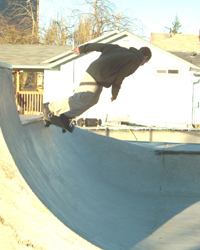 mini ramp with 6ft. extensions, with a pump bump in center. 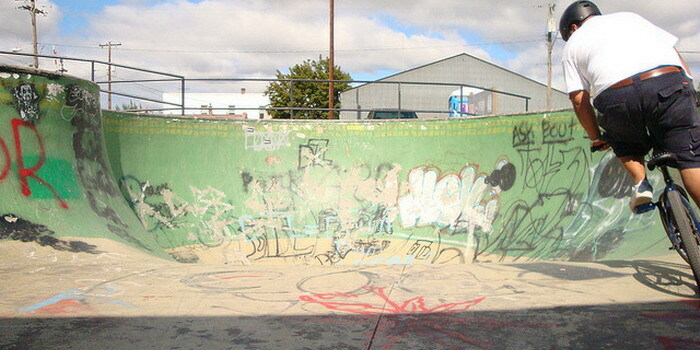 Park is all cement. 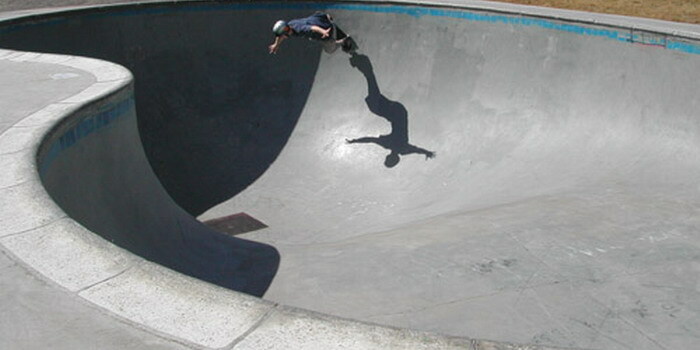 Ramp has super smooth steel coping, pool has pool coping is clean with good drain, all exposed to sky. Review: This is a great local park. Not huge but it sure beats having nothing. 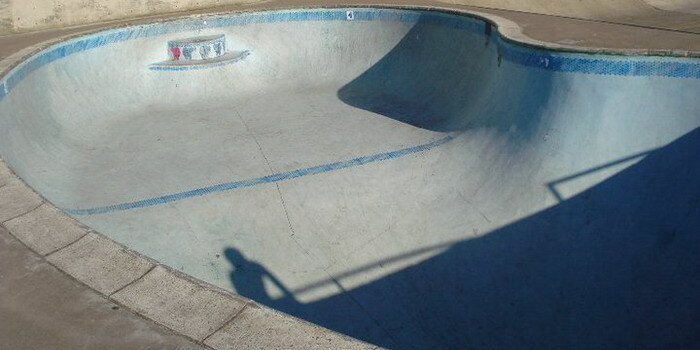 Special Comments: Pool for experienced riders, or for those willing to take a slam or two. Mini ramp can be enjoyed by all. Well worth the drive!! 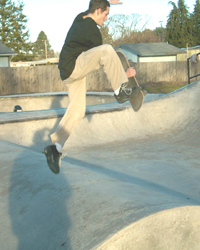 Nose grabbin' old school style while rockin the pink griptape! !